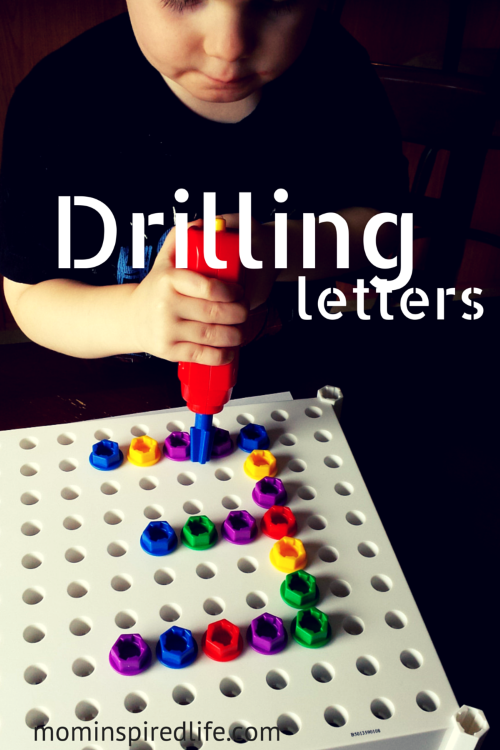 This preschool letter recognition activity uses a toy that is a favorite in our home. Since it is played with often, I thought I would come up with a way to use it while working on letter recognition with Evan. 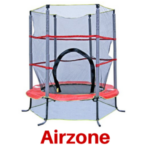 This is wonderful for hands-on learning and it is very easy to set up. 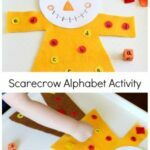 Once you make the letter outline, it is an independent activity for your child. 1. Place the white sheet of paper over top of the Design & Drill board. 2. You should be able to see all the holes through the paper. 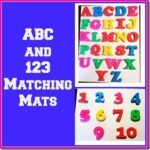 Color the appropriate holes needed to form the letter you would like your child to work on. 3. 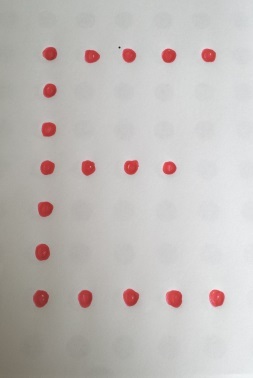 Place the paper under the board so that the colored circles you created line up to the correct holes on the board. 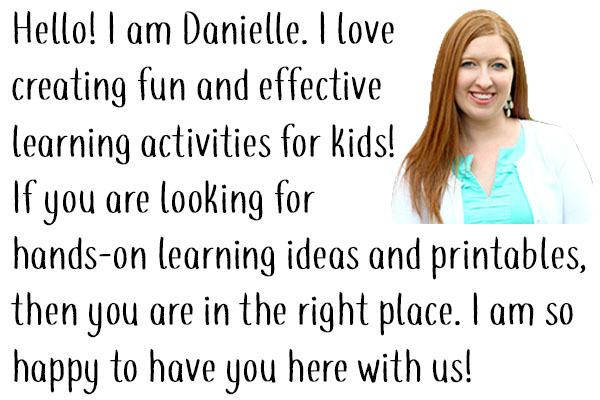 Once you have the letter outline set up and ready, this activity is pretty much independent. Your child should move around the outline drilling the screws into the appropriate holes on the board until the letter is complete. Evan prefers to set all the screws in the holes first and then come back and drill them all in, but any method is perfectly fine. 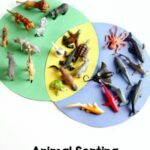 I am excited to have yet another hands-on learning activity that I can use to reinforce letter identification and pre-writing skills with Evan! 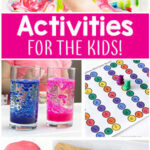 Check out other great preschool learning activities at my Pinterest board below! 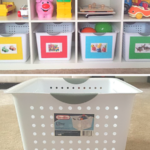 Follow Mom Inspired Life’s board Toddler-Pre-K Learning Activities on Pinterest.